VoiceMap takes stories beyond the screen. It papers them to walls, hangs them over statues, and plants them neatly in public parks. Then, when you come along, there they are: reflections on the soul of LA, murder on Edinburgh’s Royal Mile, nostalgia for the vanishing hutongs of old Beijing, and much more, by storytellers and passionate locals all over the world. All you need is our mobile app for iPhones and Android devices. It uses your location to play audio automatically and includes offline maps. Just put on your headphones and you’re ready to explore. 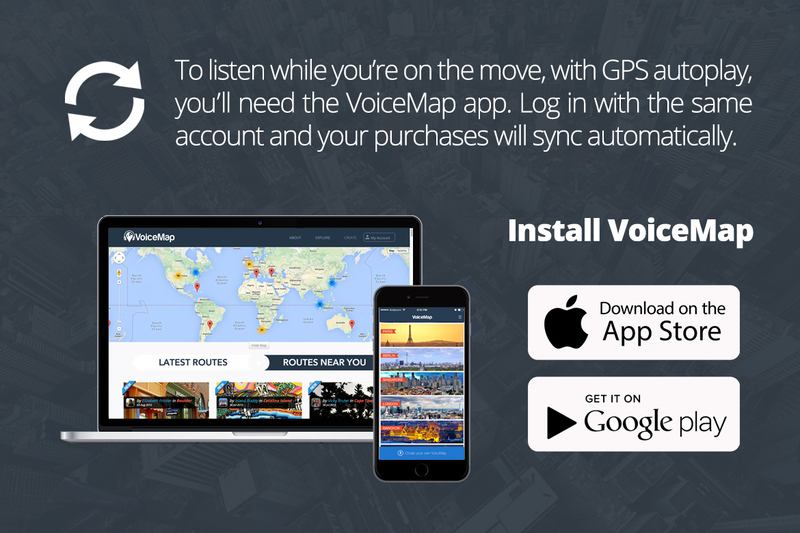 Explore at your own pace with VoiceMap’s walking tour app, available for iPhone and Android. It has offline maps, GPS autoplay and a fast growing catalogue of audio tours by bestselling authors, expert correspondents, veteran broadcasters, passionate locals, and many others. Create your own audio tours with VoiceMap’s publishing tool. We’ll assign an editor to your project and in three steps you can make your stories heard. We’ve also connected our publishing tool to a marketplace. You choose the price, and we pay royalties of 50%. VoiceMap was built by storytellers, for storytellers. We think that smartphones and GPS autoplay have transformed audio tours, giving the medium a unique immediacy. The right story, told at the right time, can change how we look at familiar places as easily as it alters our perception of somewhere new.